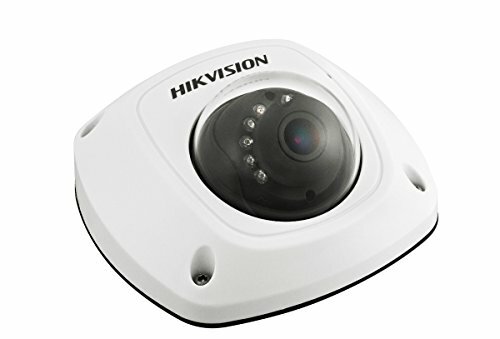 The Hikvision DS-2CD2532F-I is a high resolution outdoor surveillance camera featuring dual stream capability, on-board recording, night vision, WDR and DNR image enhancement, Power-over-Ethernet support, and more. Capture video in your choice of 2048 x 1536 HD at 20 fps, 1920 x 1080 Full HD at 30 fps, or 1280 x 720 HD at 30 fps, and simultaneously send two video streams to your monitor and/or recorder. The field of view at 2048 x 1536 is 86° and increases slightly when you select a lower resolution. Record everything over your network or internally to up to a 64GB microSD card (sold separately). The camera is weather-resistant and vandal-proof for reliable outdoor use. 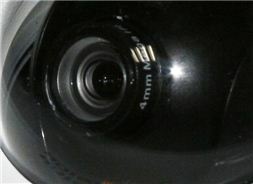 IR LEDs around the lens provide up to 33 ft of night vision in black-and-white capture. Power this camera via a Power-over-Ethernet connection to your NVR or PoE switch or alternatively via any 12 VDC 1A power supply (sold separately). Your images are enhanced with the camera's Digital Wide Dynamic Range and Digital Noise Reduction features, and you can also tailor the look you want by adjusting a variety of settings, such as brightness and contrast. 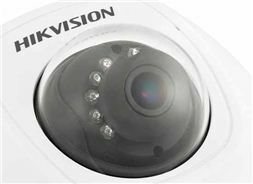 You can manage the camera via the included software or via a web browser connection to an online management interface. The camera can be mounted directly to the wall or ceiling with included hardware or via optional adjustable wall/ceiling mounts (model #s DS-1272ZJ-120 and DS-1271ZJ-120).